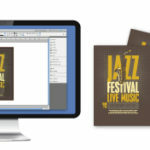 Creating Print-Ready PDFs - PrintWorks & Company, Inc. Remember that the end product is only as good as its components. 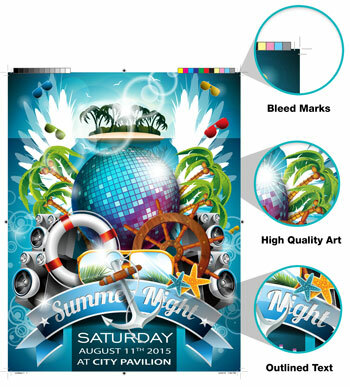 For high-quality printing, a PDF file must contain high resolution images, appropriate fonts, etc. 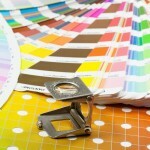 Ensure that your color values are appropriate for the desired output. 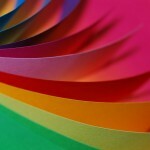 In most cases, CMYK is standard, however, it could also be RGB. If CMYK is the right choice, some programs may allow you to convert everything to CMYK during PDF creation. However, it is recommended that you convert before output to avoid potential color changes when RGB images are converted to CMYK. 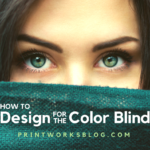 If you have questions about color output, remember our printing experts are here to help! Because transparency can have unpredictable results in printable PDFs, always make sure you flatten (rasterize) the elements affected by the transparency. Ensure your PDF exports have a designated bleed if graphics are designed to print to the edge of the page. Elements that bleed should extend .125” outside the finished trim size. Elements that do not bleed should be .1875″ inside the finished trim size. Remember the page size should match the finished trim size. Proof and preflight before creating a PDF file to identify missing fonts, unlinked images, or other issues that could result in problems down the road. Use the appropriate PDF file settings. When in doubt, contact our print shop and we can recommend a file setting for your project. Let us know if you have questions or need help creating print-ready PDFs. 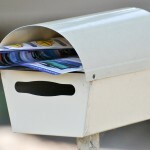 Remember, our printing experts are only a phone call or email away! Appreciate it! It a awesome web page. Hi there, You have performed an excellent job. I will definitely digg it and personally recommend to my friends. I amazed with the analysis you made to make this actual publish incredible. you are not understanding something completely, but this post provides fastidious understanding yet. writing. I’ve had difficulty clearing my mind in getting my thoughts out there. Thank you for every other wonderful post. The place else may just anybody get that type of information in such an ideal means of writing? and our entire community will likely be grateful to you. I simply want to tell you that I’m new to blogging and site-building and really loved your web page. More than likely I’m going to bookmark your site . You really come with remarkable article content. Thank you for sharing with us your website page. I truly love your blog.. Excellent colors & theme. Did you develop this amazing site yourself? my very own blog and want to know where you got this from or what the theme is named. Now i’m very happy that I found this in my search for something regarding this. It sort of feels that you’re doing any distinctive trick. Moreover, The contents are masterwork. you’ve performed a excellent task in this subject! say regarding this piece of writing, in my view its really remarkable designed for me. Gasoline fireplace additionally keeps working in energy outages. I have been browsing on-line greater than three hours today, but I by no means discovered any fascinating article like yours. It¡¦s beautiful value sufficient for me. Personally, if all webmasters and bloggers made good content as you probably did, the internet will be a lot more useful than ever before. Good site you have here.. It’s difficult to find excellent writing like yours these days. I enjoy, result in I discovered just what I used to be taking a look for. you could write a litte more on this topic? I’d be very grateful if you could elaborate a little bit further. omit this website and give it a glance on a relentless basis. Disgrace on the seek engines for now not positioning this post higher! hello!,I love your writing so so much! proportion we keep in touch extra approximately your article on AOL? I require a specialist on this house to resolve my problem. Maybe that’s you! Having a look forward to look you. Its like you read my mind! You appear to know so much about this, like you wrote the book in it or something. I think that you could do with a few pics to drive the message home a little bit, but instead of that, this is magnificent blog. An excellent read. I’ll certainly be back. You completed various fine points there. I did a search on the matter and found most folks will go along with with your blog. I have read some good stuff here. Definitely price bookmarking for revisiting. I surprise how a lot attempt you place to make this sort of fantastic informative site. I simply want to mention I am just new to weblog and certainly liked your blog. More than likely I’m likely to bookmark your site . You really have fantastic posts. Many thanks for sharing with us your website page. good, all be able to easily understand it, Thanks a lot. When I initially left a comment I appear to have clicked the -Notify me when new comments are added- checkbox and now each time a comment is added I recieve four emails with the same comment. What are the very best internet sites and blog sites dedicated to analysis as well as literary works? top as well as defined out the whole thing without having side-effects , people can take a signal. be on the web the easiest factor to consider of. I am browsing this website and reading very informative articles at this time. regular basis. It includes good information. folks will likely be benefited out of your writing. little changes that make the largest changes. Thanks for sharing! blog and will often come back later on. I want to encourage you continue your great posts, have a nice holiday weekend! How to request google adsense account for my all 3 blogs as well as 2 sites?